Lucas joined the Vallotton Farms team in 2010 and again in 2013. He had an undying love for farm work, equipment and mechanics and a deep hatred of vegetables! :-) He was a second generation trainee at Vallotton Farms and in a few more years maybe his son will make it a three-generation tradition!?!?!? 1. Where is home for you (city/country)? The name of my village is Brenles and it is in the west part of Switzerland. 2. Why did you decide to do an agricultural exchange? I will see another side of agriculture - Canada was a dream for me! 3. What is the main differences you have noticed about farming in Canada? 4. Favorite piece of equipment? Combine! And the big Versatile (love to make a lot of black smoke). 5. Favorite on the farm job? 6. Favorite Swiss food that you wish you had in Canada? Favorite Canadian food that you wish you had in Switzerland? Just a piece of Gruyère cheese and a tasty Quizznos sandwich in Switzerland. 7. As a repeat ag exchangee what have you learned on each exchange? When I came back home the first time, I would buy a farm in Canada, but after the second time (2013) I have more appreciated my situation at home. I think you have to be born in Canada for living there, but that was the best experience of my life. Thank very much to the Vallottons. Last one: When are you coming back to Canada???? Torsten was a trainee in 2016 on Vallotton Farms. 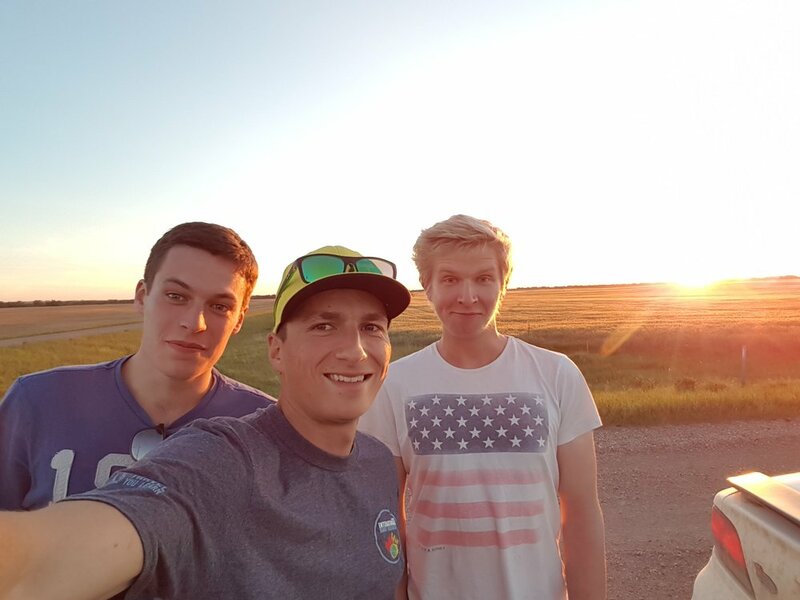 He spent the 2017 season in Saskatchewan and this summer is on an exchange in Montana. I was raised on a small farm in the southern part of Denmark close to the german border. Both of my older brothers have been on exchange programs and came home telling all these stories of what they had seen and the people they met. I made up my mind when i was about 10 or 11 that i wanted to try something similiar once. After working on farms in Denmark for a couple of years I wanted to see how they do it in other parts of the world and decided Canada was my first destination in 2015. 3. What is the main differences you have noticed about farming in Denmark/Canada/United States? Size of the equipment is the first thing you notice once you get here, most of it, but not all of it, is alot bigger than what we're used to at home. Back home we have regulations as to how much fertilizer we can put into the ground which might not be enough for the crops to reach their full potential. Farmers here still decide how much they want to put in, and have to find the "sweet spot" for their own farm to have the best yield and quality and also not wasting money. Combine - when you find out if all the hard work you put in all year pays off. 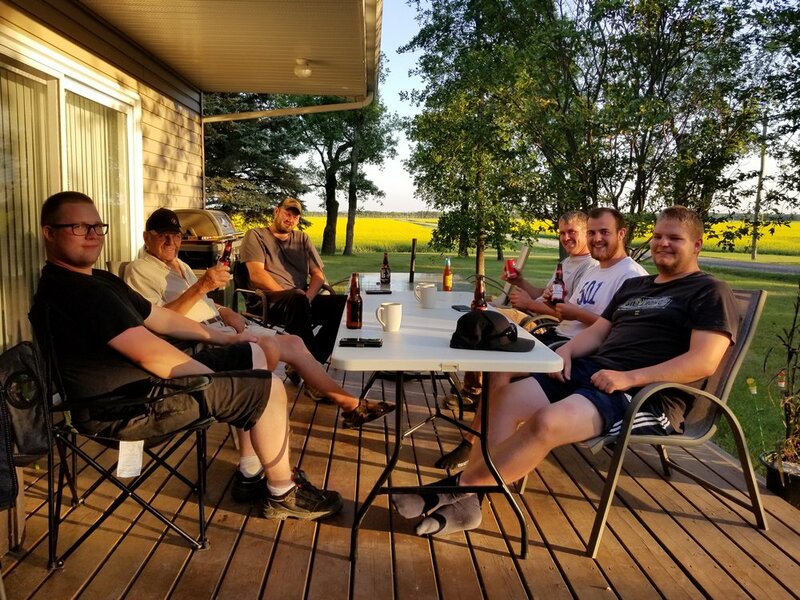 Harvest - see if all your work pays off, alot of equipment working in the fields, alot of people come out to help/talk, then when you've been working for a long time and you get a day off, everyone sits down and have a couple of drinks and have a good time. 6. If you could work on, or own a farm anywhere in the world, where would that be & what type of farm/farm size? If I were to have my own farm it would probably not be in Denmark since its pretty hard to get into farming back home. I would most likely just have a straight grain farm without any animals. I like working on farms at home and doing the jobs that come with it. The biggest differences I've noticed is that every farm is different and the people also. I as a trainee need to adapt to how they want things done and what is normal for this farm. I also think that the host families need to be able to adapt to the person they get, if the person is skilled enough to run the equipment, fix it or talking to local mechanics about issues etc. - to let them do it. But all in all every placement has been good and been a good experience, and I've met a lot of great people. 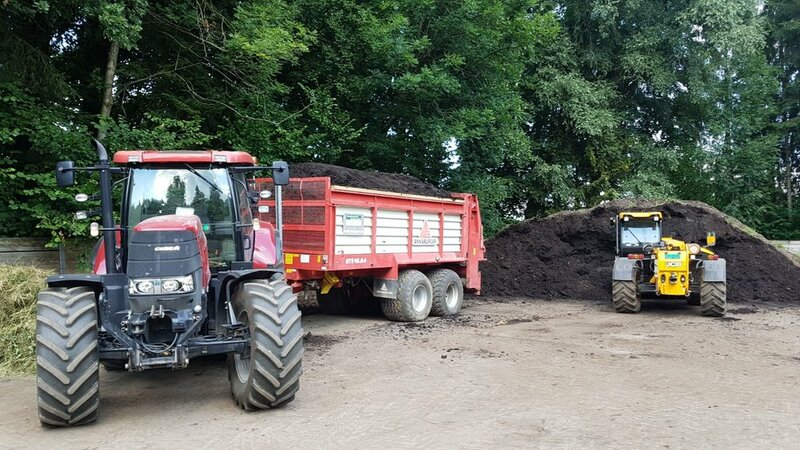 Michael joined Vallotton Farms in 2017 from Switzerland, about 20km from Zurich. 1. Why did you decide to do an agricultural exchange? The reason why I did an agricultural exchange is to expand my horizon. On one hand my social skills and on the other hand my know-how in agriculture. Of course there was the resason to drive huge machines and trucks, kind of like a childhood dream. 2. What is the main differences you have noticed about farming in Canada/Switzerland? First of all the size of farm equipment and the farm size itself. Also all the bins to store the grain. We don’t store grain here in Switzerland. We bring it directly to the elevators. The bins we have here are for silage (corn or grass) to feed the cows. Mostly with a augar that scrapes out the content into a feed mixer. Oh there’s another thing, the contracting of grain. We do have contracts but not like in Canada or the States. We have a certain amount of grain especially canola we are allowed to plant. To keep that amount we have to sign a contract. 3. Favorite piece of equipment? 4.. Favorite Swiss food that you missed the most on your exchange? Favorite Canadian food you miss now back in Switzerland? As I was in Canada I missed our Swiss chees and bread. Now since I am back back I am missing Teresa's stew and Dairy Queen ice cream. 5. If you could work on, or own a farm anywhere in the world, where would that be & what type of farm/farm size? And/Or, where would you want to do another exchange? That is a tough question. The world is huge and I haven’t been anywhere 😊 I mean Canada was fantastic and I can imagine to work there again. Farm size not too huge. About 1000 hecatres would be enough. And I need a truck with which I can haul grain. Australia is still a part I haven’t explored yet 😊. Andreas joined the Vallotton Farms operation as a trainee in 2016. This year he is working as a trainee in Montana. He recently came back for a visit to Vallotton Farms. One of the best parts of trainee visits is finding out what they are up to now, and re-living all of the fun moments they had as part of our farm family. International trainees add so much to the farm family and the farm operation. Thanks to all of the former trainees we will feature this week, who let us catch up with them! Home is just outside the small town of Krusaa, South Denmark. I have heard stories from other people that have had great experiences and good memories from working and traveling around the world. That, the fascination of big machinery and a friend of mine deciding to go for it, made me want to join. Best decision EVER! 3. What is the main differences you have noticed about farming in Canada / U.S./Denmark? Climate. We get lots of rain and often fight wet field conditions year round. Many areas in Canada and the U.S. would be blessed with more rain. The size of the farm operations. Many fields in Canada and the U.S. are bigger than what most farms farm in total in Denmark. Most farms in Denmark have their main income from pig production, dairy or chicken farming. Only very few have crops only. I don't really have a favorite piece of equipment. I enjoy operating most equipment. Combining and everything about harvest time. When all years hard work and prayers for cooperative weather comes back to you. I would love to be able to keep the family farm but realistically it's to small to make a decent living of without a second job, it's location is not favorable due to the town and some protected forest close by. So if I was to own my own farm, Canada with somewhere around 5000-10000 acres of crops would be something I could see myself in. On my first exchange I learned to drive trucks, to operate the row crop planter and the combine. I'm sure I learned other skills as well without realizing it being new or different to me. What's been new to me on the second exchange is to operate the air seeder. The intergenerational family farm is a common story, but what makes our family farm story unique is that it is an intercultural and international family farm as well. This means that each year we open our home to international trainees who are looking for a farm adventure. So far I have been a host mom to over 15 trainees and I am inspired by their brave and bold pursuit to learn what agriculture can look like in different parts of the world. These young people come into our home as strangers and leave as family. They are “brothers” to our girls, they return to visit, and their friends and family come to meet their “Canadian family”. One of the great things about agriculture is that you get a chance to not only work hard, but to play hard too. Enjoying what your own backyard has in store is one of the opportunities we always like to take. Zip lining at HyWire Adventures gives crop scouting a whole new meaning and the view is really cool (especially upside down). The 8 line zip line tour gives plenty of time to check out the fields, the Pembina Valley and to have a few friendly competitions on the racing zip line. Hope you enjoy the Go Pro footage we captured while zip lining - and maybe join us next year? I really like swathing, driving the grain cart when I have to go fast, working in the containers to try to fix something and loading bins with Michael. J’ai vraiment aimé andainer, conduire le transbordeur lorsque je devais conduire rapidement, charger les silos avec Michael. My favorite pieces of equipment are: Macdon swather, Case Quad Trac, driving the versatile sprayer on the road because it is so fast. Mon équipment preféré est l’andaineur Macdon. My advice to future trainees: Don’t hesitate to get up early to swath! Love beer. Ne pas hésiter à se lever tôt pour aller andainer! Aimer la bière. The best thing about my time at Vallotton Farms was all of the meals in the fields, the food was always great, and I like when kids came in the tractor because they are really interested by harvest. Je pense que ce sont tous les repas dans les champs, la nourriture était toujours impressionante et j’ai aimé quand les enfants venaient dans le tracteur parce qu’ils sont passionnés par la moisson. It seems hard to believe that we just met Valentin in June! By mid-summer we had promoted his brother status and given him the honorary last name of Vallotton, and we’ve called him V.V. ever since. He has been a super addition to our farm family. I always appreciated the twinkle in his eye – I think he totally understood more than he sometimes let on! Before V.V. returned to France we wanted to ask him about his time in Canada. The best thing about Canada was certainly the trip during July because I discovered a lot of things about Canada. Some crazy landscapes, animals like bears, and the camping life in nature. Certainement le voyage pendant juillet parce que j’ai découvert beaucoup de choses sur le Canada. Des paysages magnifiques, des animaux comme les ours, et la vie au camping dans la nature.